I certainly can't say that I know what happened. But I'll speculate that Tesla's purchase of 12 radio tubes and some wire in a Buffalo, New York, electronics shop was to hide what really went inside his mysterious box: a bank of parallel capacitors precharged overnight at his hotel room with whatever voltage he needed to provide sufficient torque to run the A/C motor in his EV conversion of a 1931 Pierce-Arrow weighing in at over four thousand pounds. That's what my simulation suggests to me. The remainder of the circuit merely supplies current dominating over voltage as the byproduct of a surge which can escalate towards infinite gain and at a rate which could become explosive if it were not for the six volt batteries acting as anchor weights on a 85% clocked duty cycle. Any voltage source is also a voltage regulator. Especially A/C voltage sources since they're already regulated as a sinewave. D/C voltage sources have no waveform. So, they tend to create surges (parasitic transients) more readily than do A/C voltage sources. I wish I knew why simulators can exhibit parametric oscillations despite our lack of formal education on this topic for this is where 'overunity' and 'free energy' occur from. I have yet to see any instance that suggests otherwise. It is this lack of information that leaves people to speculate, sometimes wildly, why free energy can exist at all. Certainly, the reactive nature of capacitors (in particular) suggest a reason for the birth of new terminology, such as the word: "radiant" energy. Except for the stress which reactance imposes on a circuit's components, energy is truly free in that its ultimate source and goal is itself. In other words, energy comes from itself whenever it is synthesized and returns to itself whenever it decomposes. This would explain why energy can seemingly appear from out of nowhere or disappear into nowhere when in reality it doesn't have to go anywhere. It's already here and stays here, omnipresent, throughout all of Creation. Decomposition must not be confused with thermodynamic losses for the latter is merely the transfer of energy from one location to another. Decomposition is not a transfer; it is a convergence of energy into a singularity reducing the quantity of energy available. Likewise, synthesis is a divergence out of singularities spawning multiplicities of energy. So, energy is never created nor is it destroyed. It is always with us. But we must recognize a game of charade ensues whenever we consider the flexible nature to energy's quantity. This is mathematically modeled by the cardinal sets of infinite series designated by the first letter of the Hebrew alphabet: Aleph. Aleph allows for singular infinities becoming multiple entities in which each infinity is unique with its own identity. I am very happy to be attending the 2018 conference! I have wanted to attend for many years but there have always been other responsibilities calling on my time. Finally I am able to come and looking forward to meeting everyone, all the discussions, and presentations. I have also at last started to write-up some of my own work in a blog website. It is just the beginning, and a lot of material and experiments yet to be added, but it is work in progress, and good to finally be sharing my own work. I am slowly digesting your excellent work on the characteristics of the flat coil. You are to be commended on the thoroughness and rigour with which you have conducted your experiments and the level of detail and clarity with which you have documented them. The cleanliness and elegance of your set-up is also superb. I have visited engineering laboratories at multi-billion dollar corporations which were less well kept than yours! Your illustrations of the manner in which the primary and secondary coils simply will not resonate at identical frequencies is fascinating, and a phenomena which has not been well discussed in the material posted to this forum so far. "It is also conjectured that the initiation of a displacement event requires a non-linear trigger within the system being tested whether that originates from the generator, the coils, or is stimulated as a response (pulled by) the load." The phrase "non-linear trigger" seems to imply a transient voltage fluctuation (e.g as produced by a spark gap). Can you clarify whether this is what you intended to say? Additionally, you speak repeatedly of a "displacement event", but have not (yet) explained what this might mean in practice. It seems logical to assume that such a "displacement event" has previously been demonstrated in an Eric Dollard video. One helpful way to illustrate your meaning might be to provide a link to a YouTube video showing this event. In the event you are not familiar with YouTube's interface, it is surprisingly easy to cite particular points in time for a given video. Firstly my apologises for the long delay in getting back to you, I have been very busy in so many different areas of my life recently, and have not logged onto the forum for some time. Thank you for your support of my work so far, and I agree about the VNA "camera shake", some of those were taken by hand and not with the tripod , I will rectify this in the future . Somewhere I am reminded that Tesla stated that every experiment whether it be theoretical or practical should be undertaken, implemented, and experimented to the very best of our ability, which for me translates to an impeccable experimental design and implementation that demands attention to detail in every respect, which in turn brings forth exacting measurements, and a clarity of thinking and interpretation of the results. Your key question is by no means easy to answer, as the conjecture I made is based on how I have come to understand some of the differences between displacement and transference. Displacement is exceedingly difficult to measure directly with the electrical equipment commonly available to us in the lab, although the effects of displacement on form can be readily observed under the correct conditions e.g. as with the movement of foil strips near to light bulbs, compression of oil in a tube, emission of light without heat from a bulb, and ultimately the one we are all working towards measuring, all (or more) power from the generator used productively in the load at any distance. This is why I have studied the flat coil so carefully so far, that is, to understand how to bring the generator, transformers, and loads into a harmonious balance where the electric and magnetic fields of induction are balanced, equal, and in a state of dynamic rest, a state of equilibrium where the system is as "matched" as is humanly possible, which requires geometry, material properties, electrical parameters etc. From this steady state a non-linear trigger is something that forces the electric and magnetic fields of induction out of balance with such ferocity that equilibrium cannot be restored through normal process of electrical transference e.g. the changing of voltages and currents either in or around the conductors and the dielectric of the circuits. In this non-linear state I conjecture that a new phenomenon is called into play to re-balance the equilibrium of the system, as if the system cannot be balanced firstly by an electrical transference (an incoherent dynamic), then it must be balanced by a displacement event (a coherent dynamic). Ultimately balance, (the steady state), must be restored in the circuit, the mutual “need” of the load and the generator must be matched. So, as you say, the non-linear trigger could be a transient voltage or current fluctuation produced by a spark gap, but the displacement event is so short as to be essentially un-measureable with common equipment, before transference takes over and dissipates the effect of the discharge as electric voltages and currents, electromagnetic radiation, heat, and light. However, the spark gap does introduce enough non-linearity that we could observe the effects of displacement on material forms. It would be much better, and this is what I am working with at the moment, to hold-off the dissipation by transference, that is, to attempt to expose the displacement event for as long as possible. I am currently working with a vacuum tube in series with the single wire conductor to prevent dissipation of an impulse and try to hold the non-linear event for as long as possible. More on this when I have some results, and very interested in your thoughts and observations on these topics. I have thought to make some videos of the work so far, this will probably be work in progress, and I also need to get back to writing-up the work. There is still so much that has been experimented that I have not yet collated, analysed, or even started to get near understanding yet. Quite understood that you've been busy, and looking forward to your new publications when they come! To clarify, when you say displacement, I assume you are referring to displacement current. Naturally, this assumes the "displacement current" of Maxwell is indeed what we want to measure. This may not necessarily be the case. Your theoretical model of assembling a delicately orchestrated harmony and then smashing it to pieces with a lightning bolt in order to exploit theorised external corrective forces is very interesting. I am not sure if this is consistent with how Tesla understood things, but that's no cause for discouragement. Either you're right or you're not, the experiments will tell soon enough. When you say that "...the displacement event is so short as to be essentially un-measureable with common equipment, before transference takes over and dissipates the effect of the discharge as electric voltages and currents..." this would seem to imply the 'displacement event' is a non-electrical or perhaps even non-physical phenomena. Have you already obtained experimental evidence for this conclusion, and if so, what did you find? Measuring very high speed electrical transients, on the other hand, is much easier than it was in Tesla's day. In fact, it seems unlikely that his original research would have been based on events which are too fast or too short to measure with modern equipment: today we can measure transients with picosecond duration, but generating them requires microwave-design style considerations where geometry and materials are concerned. On the other hand, it seems unlikely the "brass and wood" approach of Tesla's day would have permitted similar speeds *assuming he was working with the same "stuff" in an electrical sense*. I am curious to hear more about your experiments with a vacuum tube in series with the wire. How do you suppose transference works? Why would the addition of a vacuum tube prolong the lifetime of a displacement event? Eric Dollard has frequently referenced the Steinmetz "Transients" chapter on lightning arrestors, which depicts a series of brass balls forming a distributed spark gap. It has been observed by other experimenters that an erected Marx generator, when charged through inductances rather than resistances, is eerily similar to Eric Dollard's "analog computer". However, even the fastest repetition rates achievable by Marx generators are likely well below that of Tesla's rotary mercury switch, even if they are likely able to produce sharper transients. Thank you for the all links, I have not seen some of them before, and particularly on measuring Maxwell’s displacement current in a capacitor. I want to study and absorb this one some more, and then try out this technique experimentally at RF frequencies. Your questions about the meaning I put to displacement is so central to my research that I have decided to clarify what I mean by this on my website. I have added a Part 1 post on displacement and transference which will introduce what I mean by those terms and how I see them in my research. There will in time be subsequent parts, and linked as you say, directly to experiments and the results of these experiments. I look forward to your thoughts and considerations on this topic. That is a very thorough explanation of your thoughts. Thank you for taking the time and effort to write it. The mechanism of displacement is revealed in action when the continuity of the need of the circuit to re-balance to the steady state is disrupted or held-of, and cannot in the moment be addressed by the process of transference. In this case the mechanism of displacement is called-forth, and whose action on the form can be observed, and is usually characterised by an injection of additional energy required to initiate the re-balance (speed-up) the process of transference. According to this theory, the only means of bringing about displacement events would be through the creation of circumstances which preclude transference. Does this not run contrary to the design principles of the Tesla Magnifying Transformer? The TMT would seem to balance the electric and magnetic fields of induction not through the creation of transients but through the careful control of the circumstances under which those fields are created. As a whole it seems that while the Tesla example of the DC dynamo and the railway tracks may demonstrate displacement, there is nothing about that example to suggest it describes the primary or only means of producing displacement. All these things aside, I look forward to the results of your experiments! Presently, much discussion exists regarding the proliferation of harmonics in the electric utility system. Moreover, the susceptibility of this system to damage or destruction from a well-positioned nuclear E.M.P. is a subject of great concern. Such problems are not necessarily intrinsic to the process of electric transmission and distribution, but only present themselves when certain configurations exist within the electric utility system. Paramount in any transmission or distribution system is that such system must be a closed system, that is, the electromagnetic boundary condition must be maintained to the highest practical degree. This assures that the entry or exit of extraneous electric forces is minimized. 1) By the ubiquitous employment of Wye to Wye connected transmission and distribution transformers, and related load configuration. 2) Through the extension of a common neutral connection throughout the entire electric utility system. 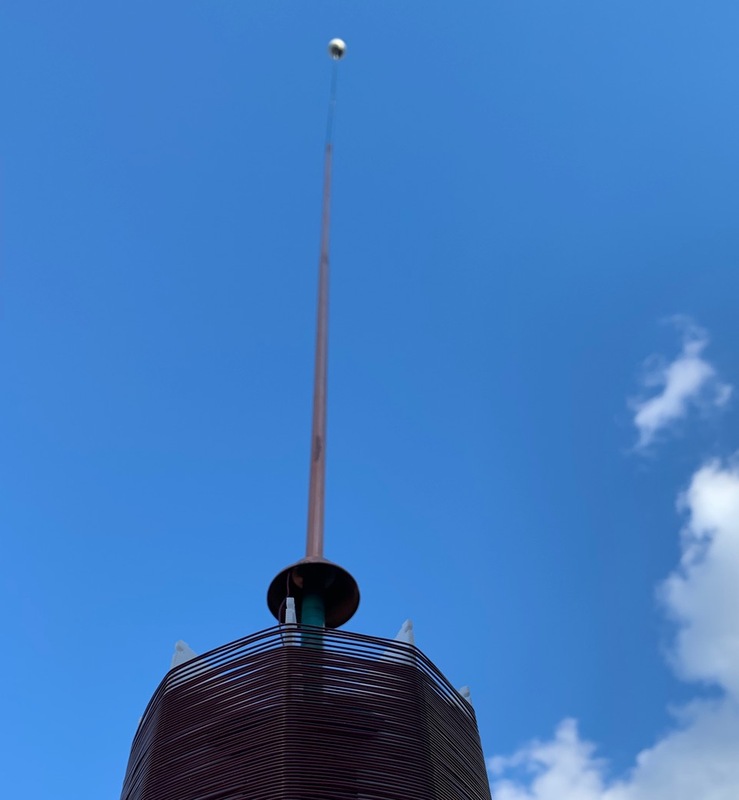 The widespread and enforced adoption of these practices has rendered the electric utility system an open system, or in other words, an antenna system, one of unprecedented proportions. The consequences must be obvious. It is the objective of the following series of engineering reports to re-establish a fundamental understanding of polyphase alternating current, then apply this understanding to the analysis of the situation as it exists today with regard to the electric utility system. Electrical engineering in the digital age has taken a turn into the abyss. The engineering foundation so well established through the efforts of Arthur Kennelly, Charles Steinmetz, and other notables, has been outright abandoned. Engineers have been replaced by software technicians, and accordingly the electric utility system has become a morass of harmonics, parasitic oscillations, and stray currents. This malady is presently being carried out with deliberation, and moreover, being made law. Kennelly once remarked that a properly designed three phase power system contains no significant harmonics. This may have been true in the era in which Kennelly lived, but presently the proliferation of harmonics in the electric utility system is rampant. In the manner of Oliver Heaviside, one may ask; If harmonics are a problem, then why allow them to begin with. The child exclaims, "The Emperor wears no clothes"! In the early electrical age, the principal customer loads were the incandescent lamp of Thomas Edison, and the induction motor of Nikola Tesla. Neither were a source of significant harmonics. What harmonic content did exist was neutralized by the Delta connection of apparatus windings. The concurrent development of long distance telephone served as a check upon the harmonic content of the electric utility system. In this era the long lines were of open wire construction and utilized voice frequency transmission, both of which are susceptible to power system interference. This situation led to the establishment of an administrative agency to co-ordinate electromagnetic compatibility between power and communication companies. (4) THE GENESIS OF THE "HARMONIC PROBLEM"
Two principal factors led to the harmonic situation as it exists today in the electric utility system. One was the gradual adoption of a Wye connection of apparatus windings and load configurations, another was the increasing use of fluorescent lighting as a replacement for incandescent lighting. The general use of a Wye connected transformer configuration grew out of the need to expand the load capacity of existing distribution systems to meet the ever-increasing demand for electric light and power. Delta to Wye system conversion allowed for a 173 percent increase in capacity while retaining the original transformers. The only additional requirement in this conversion is the system-wide installation of a fourth conductor, or system neutral. An additional benefit derived from the neutral was that the system could be referenced to Earth potential without the need for auxiliary apparatus, as was necessary in a Delta connected system. The dominance of the Wye connected load grew out of the proliferation of large office complexes. The enormity of their lighting systems required a shift from the Edison three wire system to a Wye connected four wire configuration, this in order to provide a good phase balance to the electric utility providing the power for illumination. A significant penalty for this conversion is that while the Edison system suppresses the harmonics, the Wye system reinforces the harmonics. The large-scale generation of harmonics began when the fluorescent lamp replaced the incandescent lamp in these large office complexes. The fluorescent lamp and its reactance ballast are a prodigious source of troublesome harmonics. Ultimately such a load should be Delta connected in order to suppress the proliferation of these harmonics into the electric utility system. However, such connection requires two pole rather than one pole switching and circuit protection devices, which increases the cost of installation. In the electric age the primary windings of the distribution transformers supplying electric power to these lighting systems were typically Delta connected. This prevented entry of the harmonics into the electric utility system. The penalty was to be increased transformer heating. The widespread adoption of Wye connected electric utility systems can be attributed to the efforts of the rural electrification administration, R.E.A. Here the objective was to significantly reduce the cost of delivering electric power to the more remote areas of the United States. Through the employment of the higher transmission voltages for the purpose of distribution, the "copper" cost was greatly reduced. Because no transformer was required to step down this transmission voltage to a distribution voltage, the cost of a distribution substation was obviated. The penalty for this practice was that the transmission system must also be Wye connected. Another cost savings measure adopted by the R.E.A. program was the implementation of a multiple grounded neutral throughout the entire system. This neutral was made common to both the high side and low side of the distribution transformer, effectively bypassing the transformer. This practice significantly reduced the insulation requirements on an otherwise high voltage system. The penalty for this practice is the exposure of the customer to primary neutral transients, and difficulty in ground fault protection. The practices instituted by the R.E.A. program significantly enhanced the ability of the resulting electric utility system to interfere with other services. Inevitably, what saved the power company money cost the phone company money, and endangered the customer. Last edited by Aaron; 02-06-2019 at 07:06 AM. As society moved from the electrical age into the electronic age the situation of the electric utility system began to deteriorate. In the electronic age an ever-increasing proportion of the load presented to the electric utility system was to involve the conversion between the alternating current used for light and power and the direct current used for electronic devices. The conversion between A.C. and D.C., rectifiers and inverters, is verily a condition of "forcing a square peg into a round hole". Accordingly, this process engenders a plurality of troublesome transients, particularly those associated with the silicon-controlled rectifier (S.C.R. ), which ultimately spelled disaster for the electric utility system. The harmonic malady was propelled forward by a shift in reasoning, this from the established viewpoint of electric transmission as an electromagnetic boundary condition (Maxwell-Heaviside), to the modernistic viewpoint of electric transmission as an electronic current (Lorentz-Einstein). In the modern viewpoint electricity was no longer propagation in the space enclosed by the transmission conductors, but the notion is that electricity is propagated within the transmission conductors themselves. Accordingly, in this view, the space surrounding the transmission conductors is void of any electrical activity. This mindset has made impossible any understanding of electric transmission and has sent electrical engineering back into its dark ages when electricity was regarded as a material substance. The electric utility in the digital age has arrived at a situation where all deleterious factors have merged into a common motive. Nikola Tesla would say "Commercial Enterprise has out-run technical competence". The vanguard is the ubiquitous eradication of the Delta connection of apparatus windings and load configurations. The entire electric utility system is undergoing a retrograde conversion, from what was an interlocked triple phase system, into a trio of independent singe phase systems. Moreover, the primary and secondary windings of all transmission and distribution transformers are being bonded together at their neutral points. This effort effectively bypasses the transformers, hence creating an extensive metallic pathway for the propagation of harmonics, oscillations, and disruptive transients. In this digital age the load presented to the electric utility system is of a disruptive discharge nature. All contemporary power conversion methodologies employ the integration of switching transients in the conversion process between the utility system alternating current and the electronic (silicon) device direct current. In general, a true A.C. load is becoming non-existent. It is the intrinsic nature of such transient waveforms to excite oscillations into the electric field surrounding the various transmission and distribution structures. These in turn intensify the already problematic harmonic waveforms. Moreover, the interaction of these electric oscillations with the semi-conductor devices results in a barrage of spurious frequencies. The plurality of these parasitic oscillations tend to merge into a unified oscillation through the common neutral connection, giving the ability to distribute interference on an unprecedented level. This situation alludes to electronic warfare, where consumer devices of foreign manufacture can be regarded as a "Trojan Horse". It has become evident to many that the aforementioned condition has created an unprecedented level of radio interference, particularly in the A.M. broadcast band. However, unlike the era of long distance telephone, no administrative agency exists to ensure electromagnetic compatibility in this digital age. It is important to recognize that the ultimate root of the problem here defined is sociological, not technological. The situation today resembles in many ways that which existed at the onset of the dark ages, when the first theory of relatively announced that the Earth is the center of the universe, a notion brutally enforced by the corporate church. Accordingly, any attempt toward remediation of the electric utility situation will be met with fierce opposition and nothing will change for the better. Such is the fate of the human species, it is written. I feel that the fundamental principles and mechanisms of nature can be considered to be like layers of an onion. As each outer layer of the onion is discovered, explored, and understood it can be peeled back to reveal more fundamental inner workings at a deeper level. All the layers of the onion are in play all of the time right down to the core, and each successive outer layer is a product of all the inner layers that went before it. In this analogy transference is the outer most layer of the onion, and displacement is the next inner layer. In order to reveal the principles and mechanisms of displacement it is first necessary to have a good working understanding of transference, and then to be able to find ways to peel back transference. For example, the theory of quantum mechanics provides a more thorough and encompassing theory of the microscopic world and how this influences macroscopic events, but is not readily observable or measureable in the macroscopic world. Classical mechanics is easily observable and measureable in the macroscopic world but is unable to adequately account for the microscopic world. Both theories are correct within their scope, where classical mechanics is the outer layer of the onion, and quantum mechanics the layer inside that, and doubtless there are other layers within that that are yet to be discovered. As per the layers of the onion, we cannot create displacement as it is already in play and acting within the system, we can only reveal its action under conditions where the outer layer of transference is not able to meet, balance, and resolve the external event, whereupon a deeper layer with a more fundamental mechanism must be called upon in order to assist meeting the required need of the system. By creating circumstances and conditions within the experiment which cannot be directly balanced through transference we are able to observe phenomena and mechanisms due to a deeper layer of the onion. In the case of displacement, by peeling back the outer layer of transference just for a moment, whereupon equilibrium is re-established and we observe transference again as the normal mechanism of transfer of electric power. No I don’t think it does. If we look at the TMT for a moment, in the steady state (in equilibrium), the TMT appears as a simple resonant, air-cored, loosely coupled, transformer which can be well described and characterised by current electromagnetic theory and practice (transference). If you drive it with a linear sinusoid at its fundamental resonant frequency it will act as a simple linear transformer that transfers a proportion of the input power to the output. The efficiency of this transformer is determined primarily on how well it is setup, which depends on geometry, materials, and boundary conditions, where ultimately the highest efficiency occurs when the electric and magnetic fields of induction are balanced and equal over the extent of the circuit. In theory an efficiency of 100%, that is you get all power out that you put in, could be achieved in perfect balance and with no losses in the intervening medium, but of course in practice imbalances between the fields of induction combined with losses in the materials and transmission medium means that the efficiency will always be less than 100%. In other words the linearly driven TMT will not show any evidence of any additional energy introduced to the system, you will not observe unusual electrical phenomena within the system, and it will always run at an efficiency less than 100%. However, for a TMT driven in a non-linear fashion that is with an impulse source such as a spark gap, or thus arranged to create sudden and rapid non-linear events within the system either generated or "held-off", unusual electrical phenomena can be observed. I also believe, but this is work in progress, additional energy can be "generated" or more correctly "called-forth" in the system as a result of the underlying principle of displacement being revealed in order to balance these highly non-linear events. I would conjecture that in this case a well-balanced experimental setup where the efficiency of the TMT has been arranged to be very high, through the careful balancing of the electric and magnetic fields of induction, could be operated to produce an efficiency of > 100% where additional energy is introduced to the system through the principle and mechanism of displacement. Even better would be the TMT in resonant co-operation with the intervening medium e.g. the earth, where telluric displacement of electric power could interact with the earth's own inner electric dynamo to produce large amounts of electric power output based purely on that synchronised by displacement, and meeting the need of a multitude of loads within the same system. In this case additional energy in the system does not result from the TMT directly, but as a result of displacement, where the TMT's part in the system is as a matching or coupling element between the non-linear power source, the telluric transmission medium, and the earth’s own dynamo. I feel that it is this non-linear telluric dynamo that Tesla was interested in exploring and developing through the apparatus of the TMT. I do agree that experimental results are probably the only way to establish the validity of the principle and mechanism of displacement. Still much work in progress . To go along with what Adrian just said, the scientific papers published by the Corum brothers do an excellent job of describing the unique phenomenon occurring in the secondary when the spark quenches. I attached a few PDF documents of the Corum brother's published work for those of you who are looking for a technical document which describes the way these coils work and what is unique and unexplored about their operation. Last edited by Ajay; 01-11-2019 at 03:37 AM. tube amp. Some transistor amps will also work. Both are run in an ultra linear mode. Both require filtering know how. The mosfet Switch mode are plentiful and efficient but are noise ridden. The noise is spurious. A video of tube amplifier putting out 24V can power 19.5 watts. Thank you for your post aminnovations. Will you soon be posting circuits of your vacuum tube generator? I am interested in constructing and experimenting with TMTs but can't find a rf amplifier/generator or circuit that will be suitable for such experiments. I also plan to follow this post up soon with part 1 for the spark gap generator, and another post looking at the workings and characteristics of an original 1920s H.G. Fischer Diathermy machine, both of which are also useful and interesting generators for exploring TMTs. Well, this is the Eric Dollard thread so, I guess that it is the best place to send a message. Eric, we met a couple of time in Lone Pine. I found something that should interest you. What is the current status of Eric's Seismic Detection System? The reason why I ask is that I've seen recent reports in the media about Oarfish being found washing up on beaches in Japan, which some people believe are a sign that a large earthquake or tsunami will occur soon. On the topic of Eric's Seismic Detection System, has anyone attempted to replicate this? I just saw this Danny - Eric rarely has access to a computer so I would recommend sending him anything you want to his Lone Pine, General Delivery address. He almost always writes back, but may take a while. Eric Dollard will be giving not one, but two presentations at the 2019 Energy Science & Technology Conference! The 2019 ESTC is July 11-14 in Hayden, Idaho at the Eagles Lodge. It is a little under 1 hour from the Spokane International Airport in Spokane, Washington. We are now accepting payments so get your ticket now so you can come meet Eric in person and see him at his best. With the Colorado Springs presentation and demo, it will definitely be a once-in-a-lifetime opportunity. 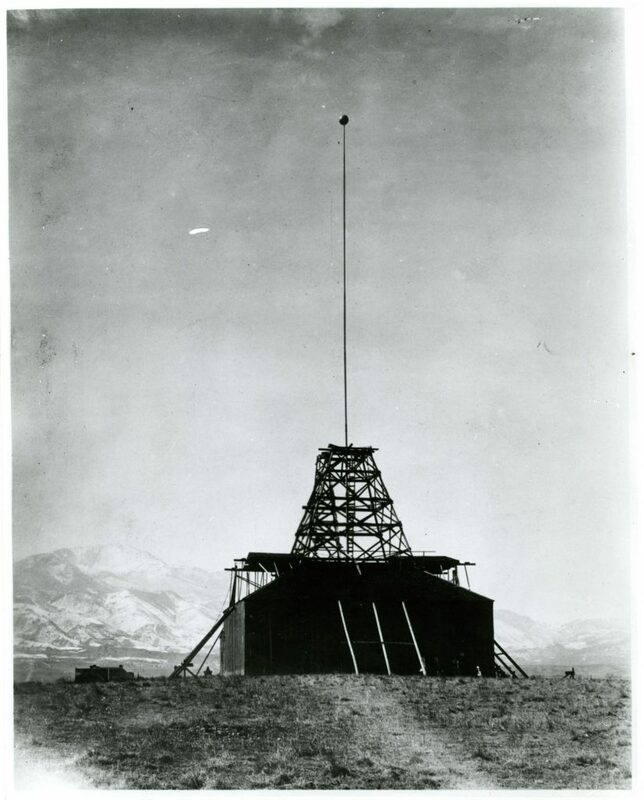 If you can help pitch in to fund the building of this project, you can send donations by PayPal or by check/money order through the mail - details are in the right column of Eric P. Dollard - Official Homepage - The only man who has replicated Tesla's wireless transmission technology. For general conference information, visit 2019 Energy Science & Technology Conference ? Exclusive conference with the Pioneers of the modern day Tesla & free energy movement! 1. Z11 for the drive coil both with and without the MWO rings, in the range 0.1Mc/s - 20Mc/s. 2. Z11 for the MWO rings only, in the ranges 0.1Mc/s - 500Mc/s and 500Mc/s - 1.3Gc/s. I have written-up and presented the measurement technique and apparatus, the measured results, and some analysis of the results, in two pages on my website. It could be inferred that Eric Dollard has given us a revised atomic model when he says that electricity can be synthesized from three ingredients. And he's not kidding when he implies that time is not a fourth dimension just as he says that time doesn't have multiple dimensions greater than one. 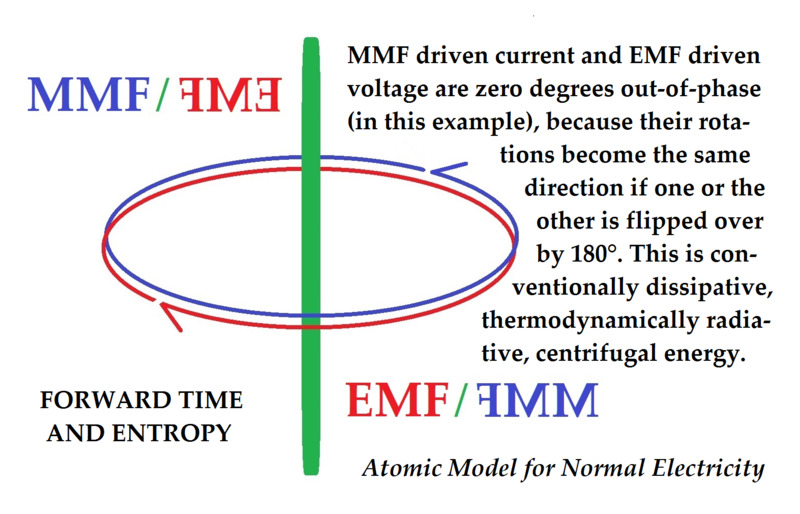 This atomic model is composed of time, the electro-motive force and the magneto-motive force – EMF and MMF. These two latter ingredients are commonly referred to as the electric and magnetic fields of a live wire and held in a combined state within the scope of electrical phenomenon as we know it. But they can also be non-reactive to give the appearance that they can also become separated from each other which is impossible since each is the complete reversed image of each other while also being the denial of their opposite condition. These two sub-atomic elements are the two forces, EMF and MMF, combined with time. They exhibit action without reaction. When they exhibit reaction, then all three factors combine to become an atom and electricity materially manifested for us to measure. But without reaction, they cannot interact of their own motivation. So, they sit quiescent and incapable of becoming anything without preexisting matter to contribute the ability for them to interact with themselves and matter. This is why this atomic model presupposes the existence of matter along with proto-matter and both created at the same time when the Creator materialized Creation. For each needs the other. Matter needs the aether for matter to exhibit energy (which is also known as change) and proto-matter needs matter to become something more than itself. Only matter can manipulate the aether. The aether is incapable – it is incapacitated – to manipulate itself. So, the aether did not bring matter into being. It simply helps matter bring more matter and energy into being while also making their dematerialization possible back into their quiescent state of aetheric existence. Naturally, the aether's incapacity for action with its subsequent reaction makes it impossible for the aether to be anything other than a non-compressible gas in its uniform distribution of its two sub-atomic elements mentioned by Mendeleev. Of course, action without reaction implies the impossibility of “spending” these two forces. They cannot be consumed. They can only be reused. Thus, a live circuit – of any magnitude – has all it needs for infinite synthesis of electricity given enough time to accumulate it. When Eric says that electricity can travel forwards in time, he's implying the situation – standard in our conventional thinking – that current and voltage possess zero degrees of separation between them. This encourages its dissipation (radiation) and is a centrifugal atomic motion of materialistic energy (atomic energy). The third condition is when current and voltage are 90 degrees out of phase. We already know this to be useless energy whose power factor is zero. The fourth condition is when instantaneous annihilation occurs whenever centripetal meets up with centrifugal and anything atomically involved with this short engagement recedes back into the aether. These four conditions are the only “four forces” which an honest physics should be admitting to. Not: gravity, electromagnetism, strong and weak nuclear forces, for all these four are definable by proto-matter. Use your imagination. Brighter minds than I will flesh out this perspective into a wholesome view of reality. Eric has given us the clues to proceed forwards with a greater sanity. Without building anything, simulators suggest all the observational data necessary to take Eric's theories and run with them provided the observer has the consciousness to proceed along these lines of reasoning. If it's not there in consciousness, then no amount of bickering can convince such a delinquent point of view to expand into a broader perspective. Simulators don't lie. They are embodiments of our theories. But they do require our interpretation. This is where formal education lacks the vision to proceed into a world of abundant sharing for everyone. EMF is the cause for MMF to manifest as a reaction to EMF whenever the materialization of energy is invoked. MMF is the cause for EMF to manifest as a reaction to MMF whenever the materialization of energy is invoked. Each is the denial of the other. This is why the aether has no reaction to action. For as solitary individual forces, these two forces each deny the karmic consequence to the actions of themselves. Instead, they dump the reaction to the actions of each onto its opposite force whenever electricity is manifest in atomic matter heavier than themselves (beginning with hydrogen on the periodic chart and proceeding upwards). Oddly enough, each of these two solitary forces (always bound to time, but lacking the capacity for reaction to take place within themselves) is the mirrored opposite of the other force. So, although they each deny the existence of the other force, they are one and the same force as seen from two opposing perspectives. Each of these two perspectives render their unique identities. Without these two perspectives, they would not appear to be any different from each other. This is the true dipole in Creation: ever present, eternal, indestructible and non-creatable. If anything is consumable, it is time. For time consumes itself. We can't consume it. Time's union with these two forces, plus the mirrored opposition between them, is what makes the consumption of electricity possible as an illusion since nothing is lost when either force can flip into its opposite force and time will already be gradually lost to us regardless of whether or not we bother to consume anything. Thanks, Eric, for giving me an opportunity to grow. Thank you for your as usual high quality experiments and write-ups. You cite a presentation by Eric Dollard on the design of the MWO, ostensibly given at the 2018 ESTC. However Eric Dollard's 2018 talk was on the power grid. Where can we find this presentation on the MWO? Your discussion of the SFA adapter board cites the use of equal copper volumes in order to avoid impedance issues. To date I have only seen the 'equal volumes of copper' principle applied in coil design, a very different context. The RF printed circuit / stripline design principles I am familiar with are very different, focusing on e.g track width, board material dielectric constant, distance to adjacent ground planes, board thickness, etc. What evidence is there that the 'equal volumes of copper' approach is useful in the printed circuit board domain? Are the resonant points of the MWO top load consistent with the LC tank circuit model, where the inductance of the ring interacts with the capacitance between the two spheres? Evidence that this is NOT the case might be seen in the coil measurements, where the phase shifts are aligned closely with the impedance peaks. This alignment is not seen so much in the top load measurements. The question of the MWO top load acting as an LC resonator is significant inasmuch as this hypothesised behaviour was the inspiration for Eric Dollard's PCB "golden ratio" antenna for the MWO. Do you have any plans to perform similar measurements on the above-mentioned PCB "golden ratio" MWO antenna? Eric Dollard Live Call Scheduled - March 17, 2019 at 1pm pacific daylight savings time. I always post the phone number and pin code and people keep asking how to get on the call. This is just a simple, old-school telephone number that you dial and then enter the conference code when asked and it will let you into the call. It will most likely be recorded and put on YouTube afterward.